Today I don't have any great finishes to show you. Actually, I have no finishes. Usually I work on a few smaller projects on top of what I have been including in this post, but not this week. None. If you want to check out my daughter's new crochet doll have a look here. Plain Spoken Quilt - Yes, I finally made significant progress here. On the weekend I laid all my blocks out only to realize that I needed 24 more. I pieced together the top two rows, but was unable to continue until I completed the last blocks. They are done now. I just need to find the time to arrange them and sew away! Flurry Wall Quilt - I slipped in another couple blocks here too. I want to keep picking away at it so I don't have a UFO (Unfinished Object) next Christmas. Here are the 4 blocks I have completed so far. Nearly Hexagon Charm Quilt - I did complete a few hexies over the last week. However, the most significant progress I made was in nailing down more fabric. 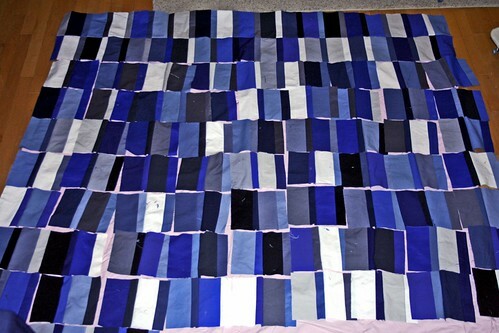 First, I organized and picked all of the fabric for my son's hexie pillow he is making (with his help). This free'd up fabric he was considering. Second, check out my post from yesterday. 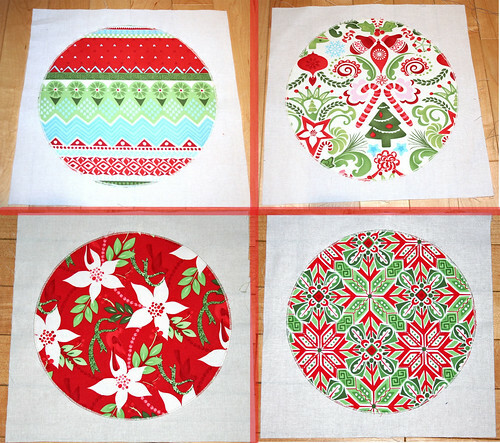 There is a fabric swap perfect for small squares of fabric (read 2.5" and less). Terrain Wall Hanging - I decided how I am going to use my Charm Pack of Terrain. I think I will wait until the top is completed before I take pictures. Farmer's Wife - I have two blocks to finish this week. I couldn't do it because I was narrowing down my available fabric. I am good to go now. Unnamed - (last week I called this Starry Eyes). This one is on hold since I am not sure what direction to go in.